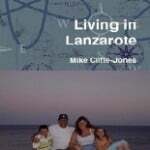 These two books by Mike Cliffe-Jones are, in my opinion, the definitive guides to expat living in Lanzarote ……and great reads! Learn about two expats who really did make a success of their new lives. The first book from 2006 tells the story of how the family came to move to the island, how they managed in their early years adjusting to the lifestyle and how they set up their business, Estupendo. 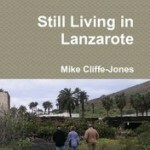 For the last year or so, he’s been busy working on the follow up – “Still Living in Lanzarote”. The new book covers the period from 2006 until 2014. So many things have changed since they arrived! The family have been through some very difficult times, emotionally and financially. They suffered very badly through the early part of the recession. But it will also show you how they came out of that period, set up the new business, Lanzarote Information, and also changed their lives with Ironman Lanzarote. You can order the books right now as paperbacks, or as E Books to read on your Kindle, tablet or computer. Mike has also put together a specially priced “electronic bundle” which will get you both books. Lanzarote’s most popular walking guide book just got even better. Walk! Lanzarote 3rd edition builds on the reputation of our 1st and 2nd editions with more walks and comprehensive updating so that it caters for the needs of the increasing number of people who would like to combine some walking with a holiday on the ‘Fire’ island. “In the spring of 2012 I walked the length of the seven islands that make up the archipelago of the Canary Islands. They are Lanzarote, Fuerteventua, Gran Canaria, Tenerife, La Gomera, La Palma and El Hierro. The journey was just over 400 kilometres and via JustGiving I managed to raise a total of £3118.96. Around the time a number of friends suggested I document it, it seemed like a good idea – if only for posterity. As far as I know, I’m the first to do this. If not, as I can’t find anything by anyone else, I’m certainly the first to document it! There are more and more books, guides and maps becoming available all the time. Here is an overview of a few that you might find of interest. All of these and more are available online from the excellent Offside Books website.